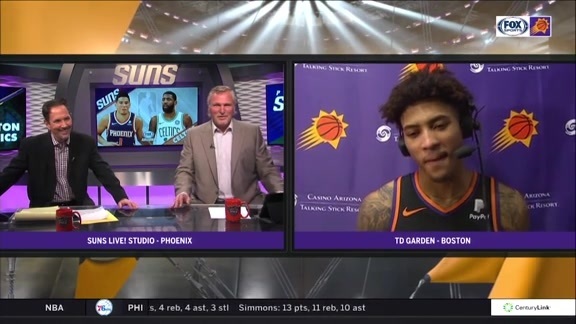 Following the Suns previous loss, the team preached energy as an area of focus heading into Thursday’s matchup against the Celtics. And that’s exactly what they produced right out of the gates. T.J. Warren and the Suns came out firing from the start as they forced turnovers, spread the ball around and knocked down their shots on the offensive end. The team finished the first quarter leading by 18 as Warren single-handedly outscored the Celtics 14-13. Head Coach Igor Kokoškov’s decision to place Warren in the starting lineup seemed to be paying off. The Suns continued their success in the second quarter as they played with energy, focus and a speed that the Celtics just didn’t seem to be able to keep up with. The team was producing at all levels of the game as they notched 17 assists while grabbing six steals and blocking three shots. The Suns took their largest lead of the season of 22 points during the second quarter and went into half with a 55-35 lead. The Suns held four of the Celtic’s five starters scoreless as Boston was only managing to shoot 21.7 percent from the field. However, fatigue began to set it as the Suns reached the fourth quarter. The Celtics would fight their way back into the game and former Sun Marcus Morris knocked down a game-tying three-pointer in the final second of regulation to force overtime. Overtime turned into quite a showcase as Kyrie Irving and Devin Booker continued to trade buckets as neither team looked to pull away early. Ultimately, the Celtics gained the advantage with just a few minutes remaining and the Suns didn’t have enough to time to battle back. Boston defeated Phoenix 116-108. Even in the loss, Warren believes that this game was a step in the right direction. Warren finished the game with a season-high 29 points, including three three-pointers. Following the loss, Booker’s message was simple. 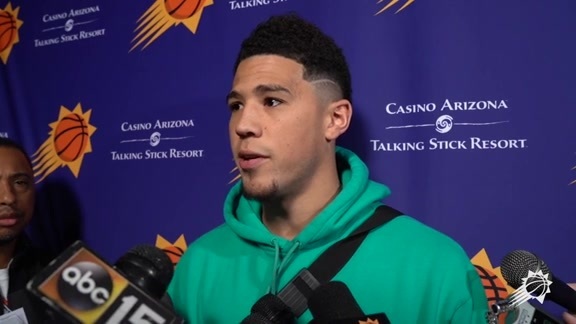 “We got to play our next game even harder,” Booker said. The 22-year-old did all he could in the fourth quarter and overtime as he battled his way to 38 points, nine assists, three rebounds and three steals. “We [put] the ball into Book’s hands and he did a lot of good things for us,” Kokoškov said. The Suns wrapped up their homestand and will now hit the road for their Saturday matchup against the Pelicans. Be sure to catch the action on Fox Sports Arizona.